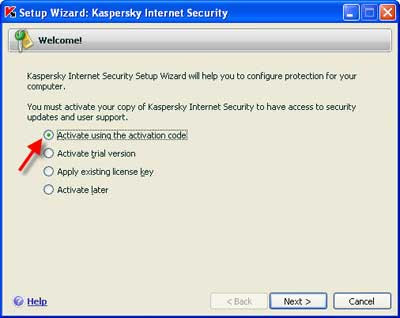 Kaspersky Internet Security 7.0 is one of the best security products available today. 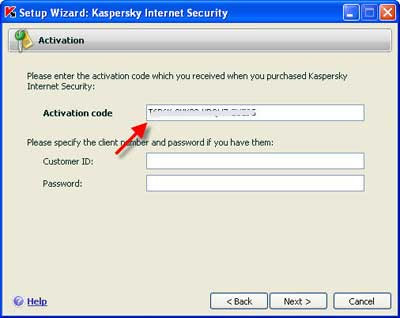 This new solution from Kaspersky Lab combines antivirus protection with a personal firewall and an anti-spam filter, keeping your PC free from all types of Internet threats. 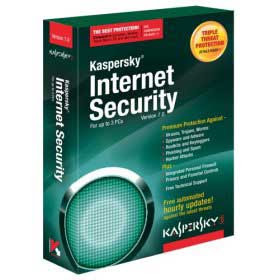 It provides you with the same proven anti-virus protection as Kaspersky Anti-Virus together with additional features including Parental Control, a personal firewall, an anti-spam filter, Privacy Control and more. 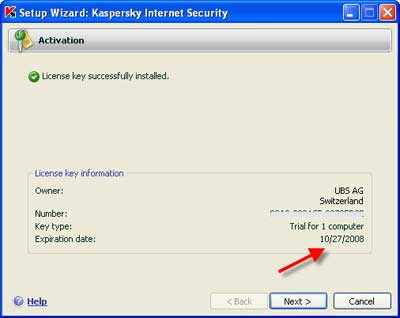 If you like this product here is how to get 6 months license key for Kaspersky Internet Security 7. Just go to this page. Now you can see an activation code and a download link for the product. Download available in English, Dutch, Italy and France version. Even though the downloaded version is 7.0.0.123, I tested this with version 7.0.0.125 and working fine. Current version is 7.0.0.325. Now install it and give the activation code you copied before. See following images for details. Required an internet connection to activate it and the process is very fast. Remember , actually this promotion is for Customers of UBS in Switzerland, but it will also work for all. This is a promotion, will last soon, so hurry-up.